It’s common for people to put a lot of thought, care, and effort into how the front of their house looks, after all, it’s the first thing people see when approaching your property. Focusing solely on the front of your home also means you might end up neglecting the rear exterior of your property, like some dark secret hidden behind the glamorous front, but it doesn’t have to be this way. 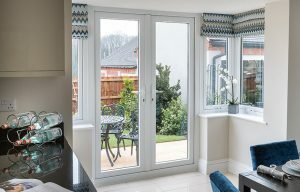 It’s possible for you to be proud of every angle of your home, and you can take that first step towards greatness by having a stylish patio door installed, the question is, should you choose bifold or French doors? What is a bi-fold door? A bi-fold door is unique in the sense that it allows for the entire wall of glass to be opened up as the door is made up of multiple glass panels with frames that fold in on themselves. This clever method of operation allows these doors to stand out and their simple tracking system that runs along the panels ensures they’ll work with ease. A French door is the complete opposite of your typical sliding glass patio door. Whereas most patio doors open via track sliding, a French door relies on hinges to open outwards, much like a standard interior or entrance door. French doors are obviously bigger in size than interior or entrance doors and they’re made up of two glass panels. Now that you know what both doors are, you might be wondering why you should choose one over the other, and the answer is entirely dependent on what you’re looking for and the kind of property you own. 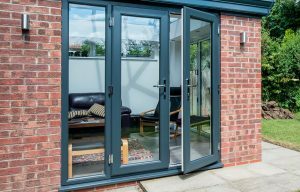 If your main priority is space, it may be worth reminding yourself of the fact that Bi-fold doors take up less space as there’s no protruding door when it’s open since it just folds in on itself. If you’re someone looking to maximise their interior space, you might lean more towards bi-fold doors. The fact that they’re also adaptable is highly favourable because it means that panels can be arranged in a way that is space conscious. French doors are normally chosen by homeowners looking to maintain a sense of simplicity within their property. They’re significantly easier to install than bi-fold doors and can, therefore, be installed in many more situations. French doors also cost less than bi-fold doors on average since they aren’t made up of so many parts. 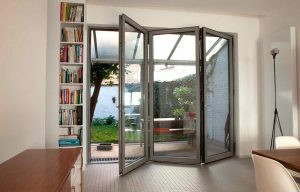 Should you choose Bi-fold or French doors? There’s no wrong answer as both options are sure to enhance the functionality and visuals of your home, it all comes down to whether your focus is on simplicity or space. Those looking to spend less and have a definitive classic look might feel more inclined to go for French doors and those looking for doors that allow for more space with unique aesthetics might opt for Bi-fold doors. If you’re looking to take your home to the next level by having impressive windows, doors, home extensions or fascias installed, then you’re looking for Turkington. For more information, you can contact us or browse our website.